There are dozens of companies competing for your dollars in the speaker market, making it difficult to choose the right brand. Thankfully, we have a list of the best speaker brands on the market. A variety of factors went into making this list. We looked at user reviews from around the web, reputation amongst audiophiles, the reputation of their engineering department, and more. You can trust that buying speakers from any of these brands will leave you a satisfied customer. Make sure to do your research before purchasing anything, though. Sonos is a comparatively new company, founded in 2002 in Santa Barbara, California, and they make this list thanks to their soundbars. Called the PLAYBAR, the company developed it to be used with your television and your favorite devices, which makes it easy to connect the soundbar with your phone, TV, and wireless subwoofer. The other 6 powered speakers in their lineup are well-reviewed and well-liked by consumers. They can all be connected too, allowing you to control sound throughout your house with just one device. 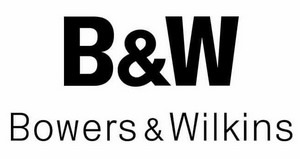 Bowers & Wilkins is not as well known as some of the other companies on this list, but they produce consistently well-reviewed speakers. Plus, from the time they were founded in 1966, it’s been a key tenet of the company to invest their earnings in research and development. The Panorama home theater systems made by Bowers & Wilkins are particularly well-liked as they provide stunning sound that replicates going to the movies. These are unquestionably high-end speakers and are quite pricey as a result, but you almost always get what you pay for in this particular corner of the electronics world. You have to go all the way back to 1953 for the founding of Harman Kardon. Sydney Harman and Bernard Kardon brought $5,000 each to the table and created a company that still exists today (as a subsidiary of Samsung). You’ll find Harman Kardon products across the entire speaker spectrum. They have soundbars at the high and low end (you can spend $600 for a breathtaking system with a subwoofer), soundsticks that produce beautiful audio, small BlueTooth speakers, and much more. Thanks to the company’s size and age, they possess a great depth of knowledge in the speaker market and offer products for all needs. They’ve garnered almost universally good reviews from consumers over the years, too. Bose is among the most well-known consumer electronics companies in the world. This can be attributed to their dedication to quality and their marketing department, which has done a marvelous job convincing the world that they make the best speakers imaginable. Audiophiles would disagree, but that might be due to nothing more than annoyance at their marketing and Bose’s seemingly bragging about their quality. Bose continually garners good reviews, though they’re typically a little more expensive than they need to be. Bose offers a full range of audio equipment for consumers, from speakers to headphones to digital players. Almost literally anything you can imagine, they provide, and they’re known for excellent construction and a relentless dedication to research and development. 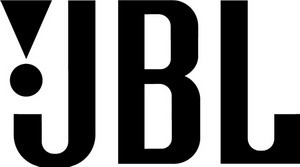 Among the oldest companies on the list, JBL was founded in 1927. They too are owned by Samsung (it’s one of the biggest companies in the world) and produces loudspeaker and electronic equipments for both professional and home use. Their soundbars range from a low-cost 2 channel offering to a high-end, cinematic experience that will cost you upwards of $500. Their products garner favorable reviews from consumers and continued innovation ensures that the company stays ahead of its competitors. 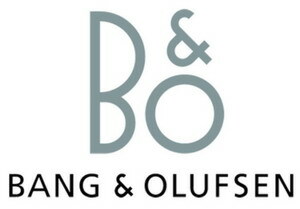 Peter Bang and Svend Olufsen founded Bang & Olufsen in 1925, putting the company close to its 100th birthday. Known for its distinctive designs, the company produces speaker systems for some of the highest end vehicles in the world and can handle your home sound system needs too. You won’t find much on the lower end of the price spectrum from Bang & Olufsen. They’ve long since committed to serving the luxury market, and they generally garner favorable reviews. Because Sony has such a wide-ranging business (a film & TV studio, video games, consumer electronics), you might not think of them when considering the best speaker brands on the market. The truth is, the Japanese company makes great speakers across the entire market spectrum. From high-end to low, Sony is there with a product you desire. Browse consumer reviews and you’ll see that they almost always get a great response from the people buying their products. Sometimes it’s difficult for a company to produce products on the low cost end of the spectrum and also serve the needs of the high-end consumer. Sony manages to do that though, so no matter what you’re seeking in speakers, they can serve you. Though they’re a smaller company than most featured in this article, Polk Audio garners some of the best reviews in the speaker market. Consumers are in love with their products, even those competing on the low end of the price spectrum. 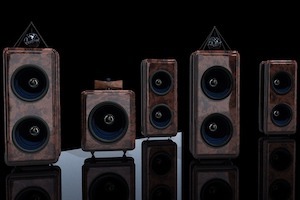 Polk Audio has discovered a way to create low cost speakers without sacrificing a great deal of quality. That skill has earned them a rabid fan base, so whether you’re looking for a soundbar and subwoofer combo for a great price or you want bookshelf speakers without breaking the bank, this is a brand to consider. What’s absolutely true is that you can’t go wrong with any of the speaker brands we’ve listed in this article. It’s also true that each company has released a product that just wasn’t very good, so it’s important to do your research before you make a purchase. Some companies are better at soundbars and others are producing car audio. Some are great at home theater and others are good across the entire speaker spectrum. We’ve done the preliminary research to give you a range of companies to choose from. Now it’s up to you to dig in and discover which brand offers you exactly what you’re looking for.